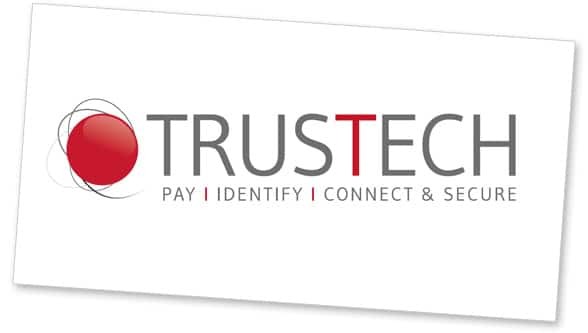 NFC World partners Antelop Solutions, Dejamobile, HID Global, NXP, Okey Co and STMicroelectronics will be at Trustech in Cannes, France from 28 to 30 November. Here’s what you can expect to see and where you can find them during the show. Antelop Solutions will be at stand Lerins A21. The company will be demonstrating its white-label SaaS mobile payments platform, which connects to Visa’s VTS and Mastercard’s MDES tokenization services and lets issuers add HCE payments to existing Android mobile banking apps or create a standalone payment app. Dejamobile will be demonstrating its ReadyToTap HCE NFC payment solution on Lerins Pod 2.07. The demo will take in Dejamobile’s latest R&D innovations including online and in-store payments, biometrics, mobile security and wearable payments. HID Global will be exhibiting on stand Riviera J50. NXP will have a meeting room at the show where it will be demonstrating its latest secure transaction solutions. Okey Co will be demonstrating its “universal digital key”, which combines NFC reader capabilities, contactless card emulation, user authentication and Bluetooth pairing in a compact, standalone 38mm device, on stand Riviera H56 — the first time the device will be on show outside China. Okey Co will also be presenting in the Security & Innovation session on the Innovation Stage on Wednesday 29 November from 15:30 to 16:30. STMicroelectronics will be demonstrating its latest ST25 NFC tag and reader solutions as well as its secure element solution for wearable payments on stand Riviera K30. NFC World’s founders, Sarah Clark and Mike Clark, will also be in Cannes to report from the event and meet with potential new partners. Please contact us if you’d like to meet up to find out about the benefits of NFC World’s Partner Program.